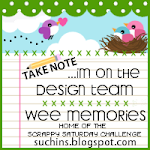 Crafty Girl Designs: Wee Memories May Blog Hop! Wee Memories May Blog Hop! Hello! Happy Saturday! Only one more day until Mother's Day! :> It's the first Saturday in May which means we have our Wee Memories Scrappy Saturday Blog Hop! You should have arrived here from our May Guest Designer the talented Lea Lawson !!!! Wow aren't we lucky to have her? :> I hope that your enjoying our hop, if you haven't started from the beginning I want to encourage you to join us, we would love to have you you can start at Jenny's blog here. This week we have a terrific sponsor with the CUTEST images! The Greeting Farm! I love there images they are so fun! Our Top Hoot this week will win a stamp set of there choice! I love our challenge this week, it's C.R.A.F.T.S.!!! Isn't that so perfect and fun? 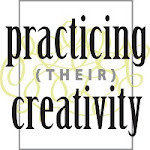 It stands for Color, Ribbon, Acetate, Floral, Twine, Stamps!!! You can use one or all of them! I used color, ribbon and stamps! Oh and funny story about my card we had digi's to use and I printed mine off at hubby's office but during I was "locked in" someone leaving the building set the alarm earlier than they should (I guess not knowing I was there) and I set it off! The alarm is screeching in the middle of my printing and I am trying to call my hubby to ask him the code! Of course he didn't remember the right one! Thankfully he eventually did. So my paper prints with the images and I go home. When I went to color them I realized that the printer printed little black dots all of the image, it smeered horribly so I used a TGF stamp I had instead! The next stop along the hop is my lovely dt friend Giovanna!!!! Have a great Saturday!! adorable card! Wishing your family health! So cute, Anita! Love your perfect bow! Happy Mother's Day to you! You really lead an adventurous life Anita! 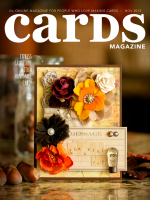 Love how your card turned out, that pp is perfect and your coloring is awesome! So glad to hear that Ariel is feeling better, but sorry about Carter! A very pretty card, your image is just adorable!!! What a cute princess! This is adorable, Anita! This is so sweet!! 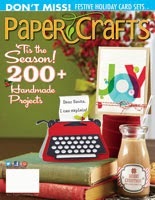 !Love the papers!!! This is darling! Oh my goodness what an adventure just to make one little card, huh! Happy Mother's Day, hope everyone is better soon. Lovely! Beautiful paper piecing and I love how you colored her hair. I hope to add some of these TGF little ladies to my collection someday soon. She is such a sweet looking princess, adorable card! Happy Day to you, Anita!! Glad your daughter is better, and this is just precious! Love the button, and the dp is so fun! What a sweet card! Hope your son is better. CAS Blast Off and Project 365 Week 8! Happy Mother's Day and Project 365 Week 6! Two Lucious Mother Day Cards!